The January super blood moon was spectacular, and it was exciting to see families all over the country outside on a chilly January night to watch this rare event unfold. But the year is only just beginning, and so are the 2019 astronomical events that you and your family can get out and watch. Here are several more rare astronomical events in 2019 that you can start looking forward to! Start by orienting yourself to the cardinal directions. This can be done using a compass, or more easily by identifying Polaris (the North Star). The easiest way to do this is by identifying one or both of the constellations Ursa Major (the Big Dipper), and/or Cassiopeia. Here’s an image below to demonstrate how to find Polaris once you’ve identified those constellations. Figure 1 – Identifying Polaris using the constellations Ursa Major and Cassiopeia. From the European Southern Observatory (ESO) website. Collected January, 31 2019. From that point, you can now determine the other directions like normal. It’s also helpful to note that, just as the sun rises in the east and sets in the west because of our planet’s rotation, so do the stars and constellations. Once you’ve established cardinal directions, it helps to know how to calculate degrees. If you hold your arm outstretched and make a fist, your fist long-ways is about 10 degrees, and your finger is about one degree. One way to test this is to measure the distance from the horizon to Polaris. Since Dallas is about 32 degrees above the Equator, Polaris should be about three fist-lengths and two finger-lengths above the equator. If you are a visual learner, watch this to learn the basics of stargazing. First, some of these astronomical phenomenon (such as the Lyrid meteor shower in April) are located using constellations. If you are not familiar with the locations of and how to identify constellations in the sky, a great resource to have is a star guide. There are great physical ones that you can buy or if you have a smartphone, you can download an app like SkyView Free/Lite (Android, iOS). Second, stargazing can be tricky the closer you are to light and light pollution. If you live in Dallas, for example, it could be incredibly difficult to view a fair number of these astronomical phenomena. 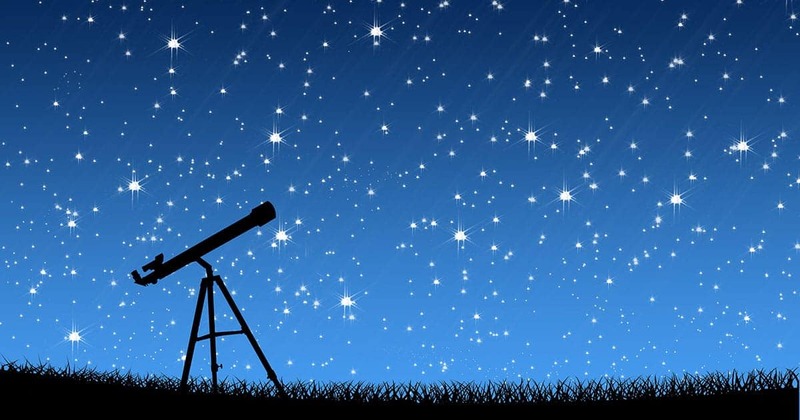 In order to have the best viewing experience, it is recommended that you go to a location that is well outside of any city, or to an observatory. Here’s a list of the seven public-access observatories in Texas. Many universities also have observatories, so be sure to contact any nearby universities as well to see what their policy is on allowing non-students to visit their observatories. And remember to bring a red light with you, as that will impact your night vision far less than any other color! February 12: The comet C/2018 Y1, otherwise known as Iwamoto, will likely reach its brightest magnitude in our sky between 8 p.m. and 6 a.m. While it won’t be visible to the naked eye, it should be visible through a telescope with a four inch or larger aperture. It should first be visible 22 degrees above the western horizon, and will reach its highest point at 1 a.m., 74 degrees above the southern horizon. Unfortunately, due to the difficulty of predicting comet magnitude, it is hard to know for sure whether this will actually be visible on Feb. 12. April 23: Conjunction of moon and Jupiter and Lyrid meteor shower. This combination of phenomenon could make for an excellent viewing opportunity! The moon and Jupiter will rise at about 12:42 a.m. over the southeastern horizon very close to each other. Jupiter will appear as an exceptionally bright star to the naked eye. The moon will be close to full at this point, which will make the other phenomenon on this night a bit more difficult to observe. The Lyrid meteor shower’s center (or radiant) will be in the constellation Lyra. However, the meteors should be easier to see 30 degrees to 40 degrees from the radiant opposite of the moon. Also, this will not be a very active meteor shower, so only expect 5-10 meteors an hour. Meteor showers are the result of the Earth passing through debris fields left behind from comets and other astronomical phenomenon. Most of the small debris burns up in atmosphere, which is what causes the spectacular effect. May 6: Eta Aquarid meteor shower will reach peak activity on May 6 and will first be visible around midnight. However, the radiant of the shower, which is in the Aquarius constellation, will still be below the eastern horizon for several more hours. There will still be plenty of meteor activity to see along the eastern horizon (roughly 20 an hour) with that number increasing as the night continues. The radiant will rise over the horizon at about 3 a.m. This shower is caused by the earth passing through the debris left behind by Halley’s comet. So, although we won’t see the parent body again until 2061, this meteor shower serves as a reminder of the last passage of this celestial visitor. June 10: Jupiter at opposition. At 9:08 p.m., Jupiter will become visible seven degrees above the southeastern horizon and will remain visible until 5:41 a.m. as it arcs across the sky. Opposition means that the body will be opposite the sun, so it will be prime for observation. While Jupiter will appear as an exceptionally bright star to the naked eye, with a pair of binoculars or a small telescope, you will be able to make out the bright disk of the body and several of its moons. July 9: Saturn at opposition. Like Jupiter’s opposition, this event won’t be as interesting with the naked eye as it will be with a telescope. Saturn will become visible at 9:25 p.m. above the southeastern horizon and will remain visible on its arc across the sky until 5:36 a.m.
August 13: Perseid meteor shower reaches maximum activity. The radiant of the shower will be 26 degrees above the northeastern horizon at midnight in the Perseus constellation, and on average you should be able to see 35 meteors an hour, assuming dark skies and clear viewing conditions. October 21: Orionid meteor shower. At midnight, the radiant of the shower will be 20 degrees above the eastern horizon in the Orion constellation. On average, there should be about eight meteors visible per hour. Remember to wear solar filter eyewear or make solar projection boxes if you want to view this event. November 11: Mercury transit of the sun. This will be an incredible viewing opportunity! The last time Mercury transited the sun was 2016, and it won’t happen again until 2032. The transit will start at 6:34 a.m. and will take until 12:03 p.m. to cross the entire distance. Remember to wear solar filter eyewear or make solar projection boxes if you want to view this event. This is important: Do not try to reuse old solar filter glasses if they have not been kept in pristine condition. Any scratch, bend, or imperfection in the film could lead to severe damage of the retina. If you are trying to view the transit with a telescope, make sure that you have the proper solar filter and ensure you know how to use it correctly. Since a telescope collects lots of light and focuses it in one spot, any failure of the solar filter on your telescope, even for a moment, can result in extreme retinal damage, and even blindness. December 14: Geminid meteor shower. The radiant will be 60 degrees above the eastern horizon at midnight in the Gemini constellation, which will mean that you should be able to see around 86 meteors per hour. However, the moon will also be close to full on this night, so that will wash out some of the sky and make viewing a bit more difficult. That’s only a small number of the events that will be happening this year! If you’re interested in viewing more events, check out In-The-Sky’s website!. 2019 presents plenty of opportunities to learn and teach. And remember to have fun out there, and may we have clear skies! We believe homeschooling is one of the best educational models, which is why we support families with encouragement and practical resources like you found in this article. Sign up for email notifications for more encouraging articles. Harold is a new freelance writer and a Texas homeschool graduate. He earned his bachelor’s in psychology in 2016 and is planning to attend seminary within the next few years, where he will earn his master’s in biblical counseling. Harold blogs at HafPenWillTravel.com.